A fun curling club located in the Frogtown neighborhood of St. Paul, MN. We operate up to 12 curling leagues, open to all levels and one mixed couples league every other Friday night. Want to get your own group together for a curling party? Here is the scoop…The facility is available for private groups of at least 8 people during the week Monday - Thursday 11 AM to 4 PM, and most Fridays and weekends. Sessions last 2.5 to 3 hours and can be tailored to fit your groups experience level. Our Spring League is full. Thanks to all the teams that signed up. Consider a group rental if you still want to try your hand at curling this spring. Stay tuned here and to Facebook for info about Fall Leagues. We'll update mid-summer. Looking for the ultimate, one-of-a-kind taste of a Minnesota experience? Visiting or living in Minneapolis and Saint Paul? Well, you can’t say you had fun in Minnesota if you don’t experience curling (or maybe eat a Jucy Lucy). 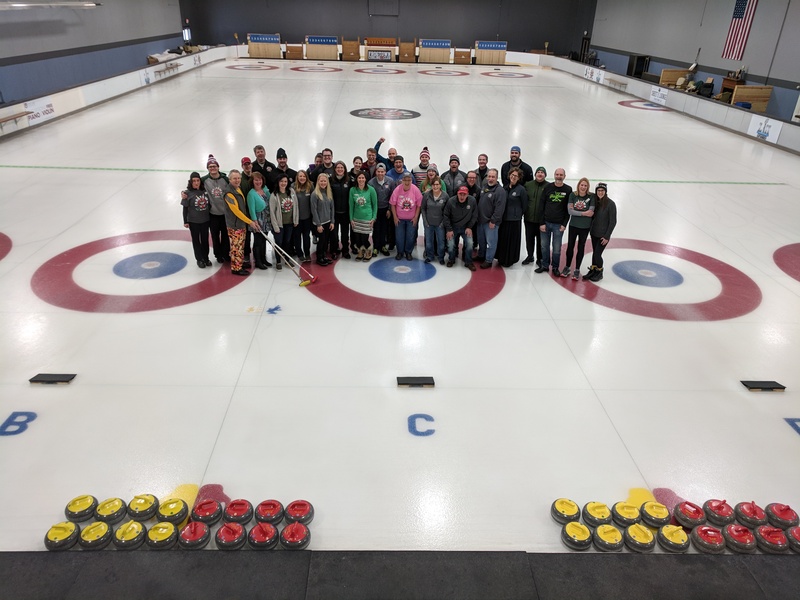 Come join us for a three-hour curling and teambuilding experience in the heart of Saint Paul. Frogtown is easily reached from anywhere in the Twin Cities.